Winner of the 28th Lambda Literary Award (Gay Romance). For many in war-torn 1944, love blossoms in the dance hall, and airman Arty Clarke is no exception. He's a thinker and a dreamer; however, it's not the beautiful, talented dancer in his arms - his best friend Jean - who inspires his dreams. For when his gaze meets that of Technical Sergeant Jim Johnson, Arty dares to imagine a different dance. 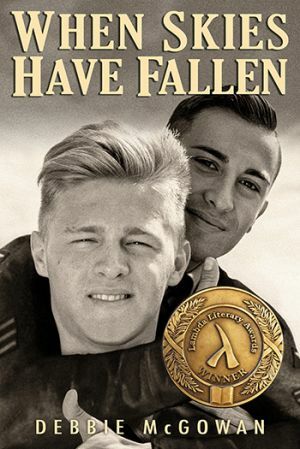 Their love is forbidden, by both the armed forces and the law, but with Jean's cunning and support, Arty and Jim try to bridge the distance between them and find true love despite the danger and a life-threatening disaster that could destroy Arty's dreams for good. Can the pair stand strong together, no matter how many skies have fallen?